My first time visiting Utah. It did not disappoint. Absolutely some of the most gorgeous National and State Parks I’ve been to. 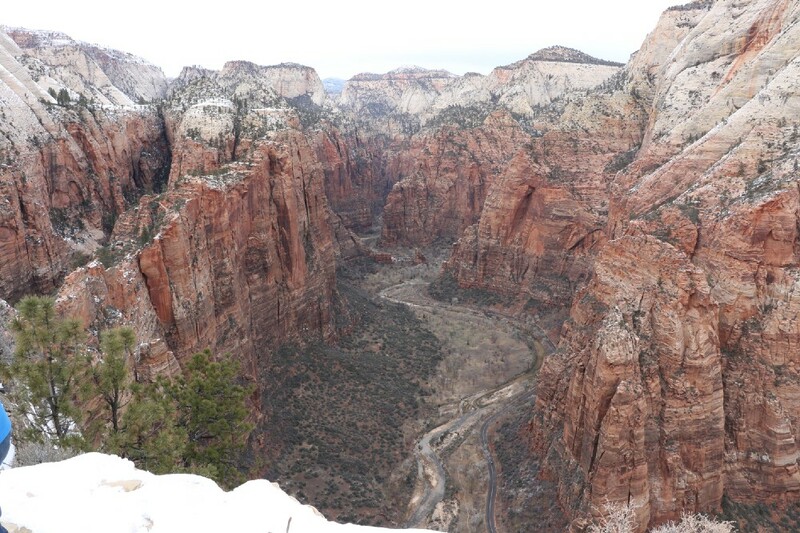 Zion National Park being at the top of that list. We visited during the Winter, which to us Canadians might as well be spring. A huge benefit is that it’s the off season in the parks, which means no lines or crowds. We seemed to have most of the trails to ourselves. 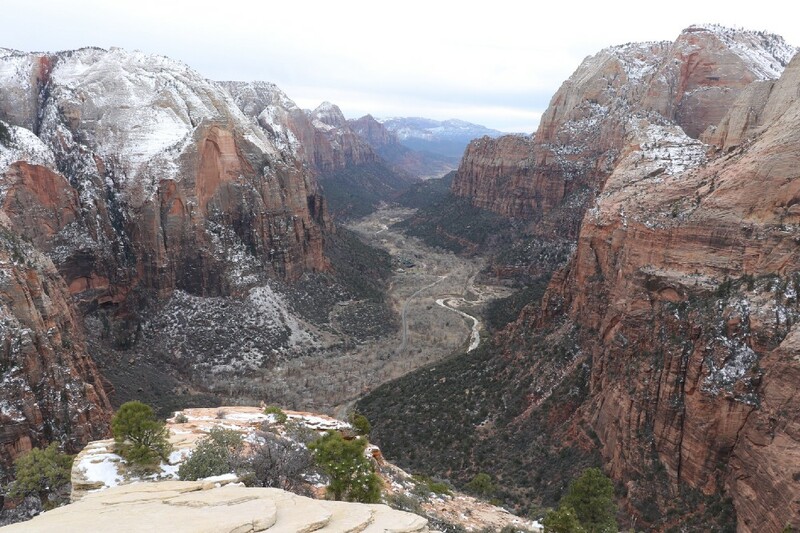 We decided on a challenging hike named Angels Landing and it took us about 5 hours. We had to rent some crampons (spikes for your shoes) from a local store just outside of the park, as some portions of the hike were covered in snow and ice. 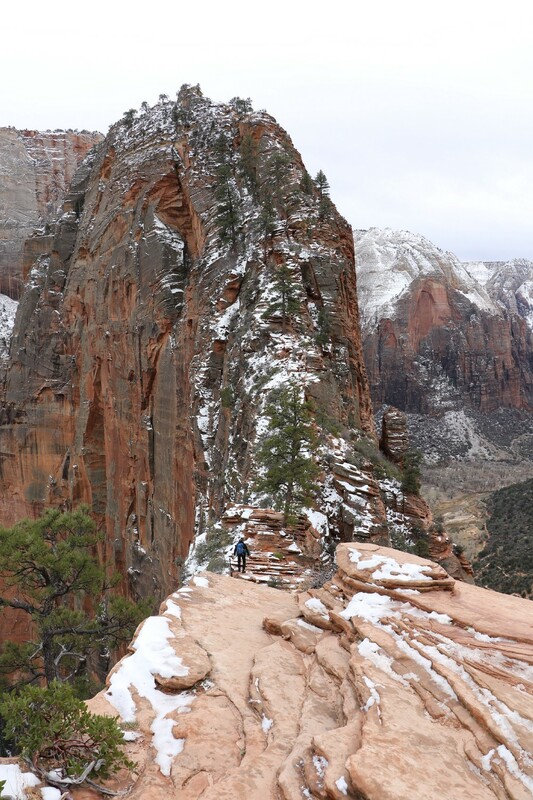 Death while attempting this hike is common and happens almost every year. At first, I was first confused with this fact until I got about 1 hour in. You’ll understand once you see the pictures. One of the most fun hikes I’ve done as it takes you up the center of a thin mountain ridge to the summit for an impressive 360 degree view. It takes over an hour just to get to this point, which is very high. View from summit in opposite direction, heading deeper into the Park. 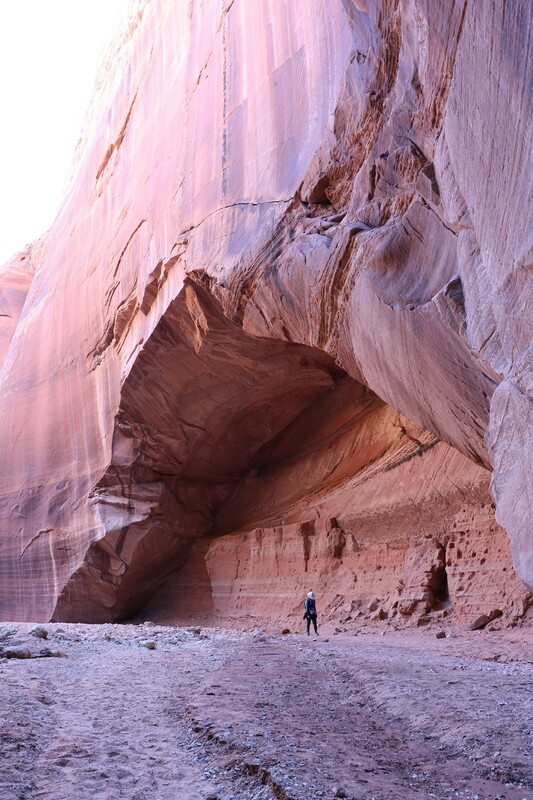 There was another hike in Utah that we thoroughly enjoyed, but it was a bit tougher to get to. Like driving 10 miles down a washboard-covered, pot-hole-littered road tough. Bumps tend to be amplified when your driving a 1 ton RV. Had I been by myself I likely would’ve said “screw it” and been on my way to find some training lol, but Sarah insisted that this was worth it, and I’m glad she did because she was correct. It’s called Wire Pass. 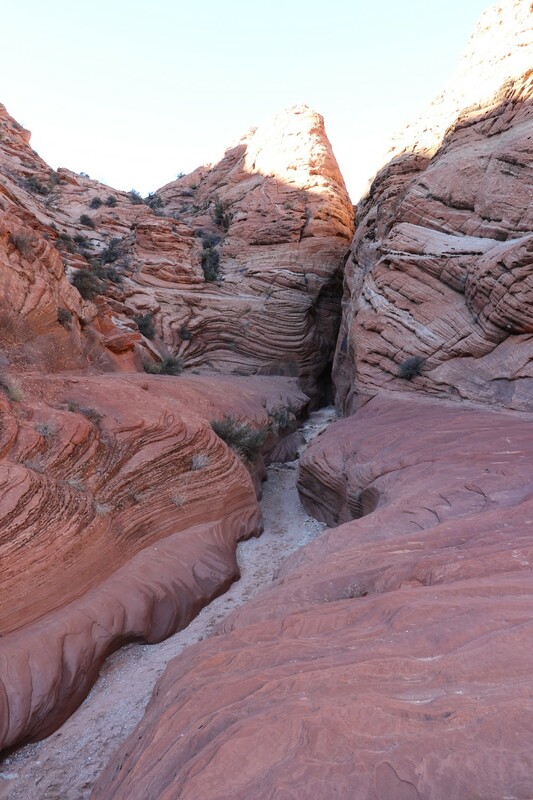 The hike itself was not very challenging but was very rewarding due to the rare geology and immense rock and mountain narrows you hike through. If you time the sun correctly, you can get some unbelievable pictures that look photoshopped. I did not. 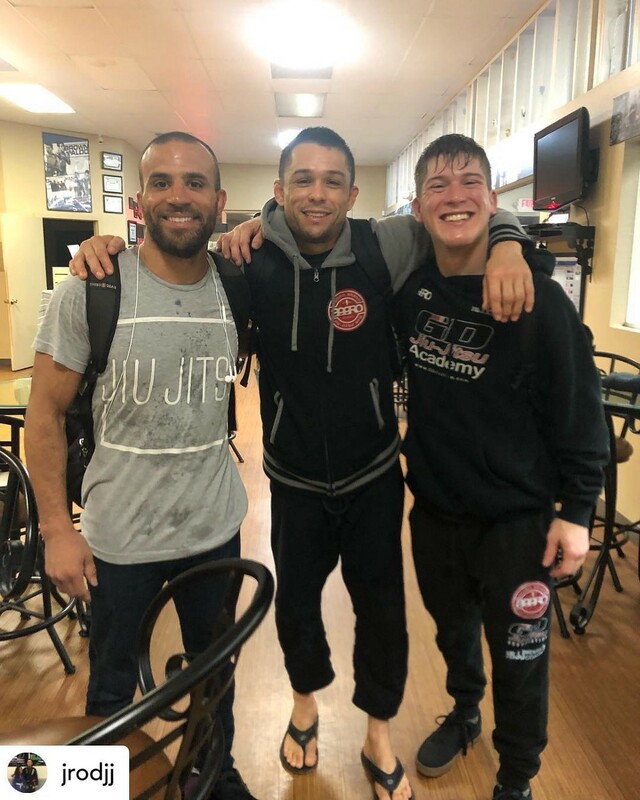 After more exploring and sight seeing I was then in full-blown BJJ withdrawal and knew it was time to get back to training. 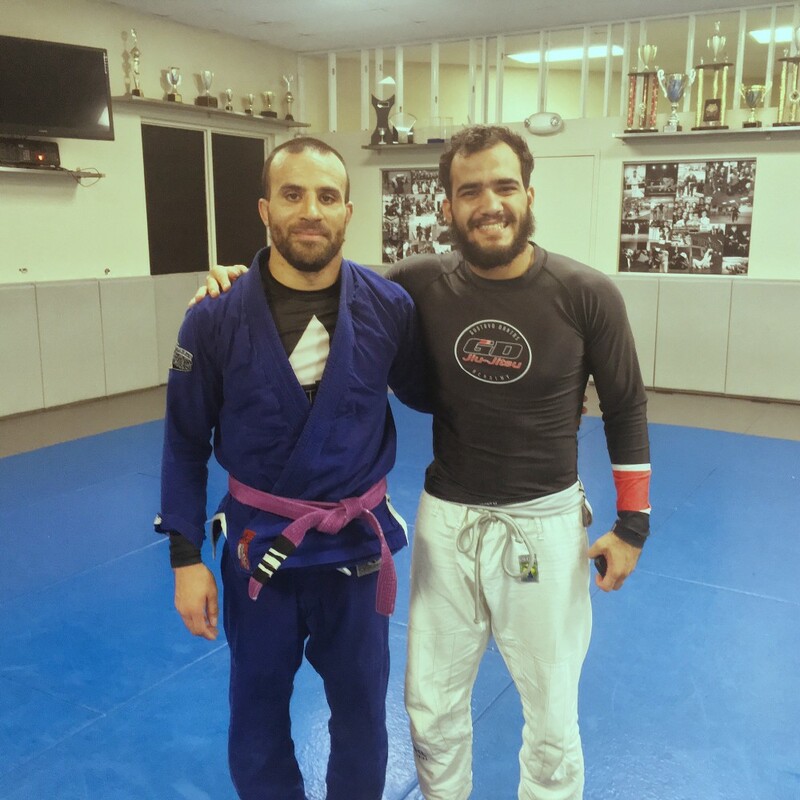 I was excited to revisit an Academy I stopped at the previous year, Gustavo Dantas BJJ in Tempe AZ. I really enjoy training here. The people are great and training is high level. This academy feels like a second home to me. To my surprise upon arrival I found out that Marcio Andre’ is an instructor and teaches twice a week. Of course I jumped at the chance to learn from one of the best in the game right now. I made sure to attend all of his classes. They were challenging, or “easy” as he would say lol. I stayed here one month before continuing East. We have to be in Florida by the beginning of March to meet Sarah’s family who will be vacationing at DisneyWorld, but I could definitely see myself living here one day. 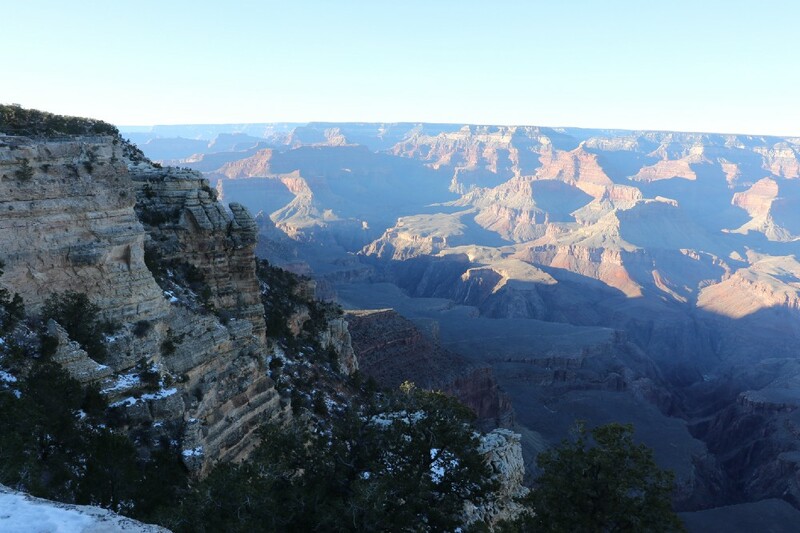 We did make a few more stops along the way while in Arizona. One of them was the Grand Canyon. While there we did a couple short walks and checked out the visitor center area that contained shops and educational facilities. 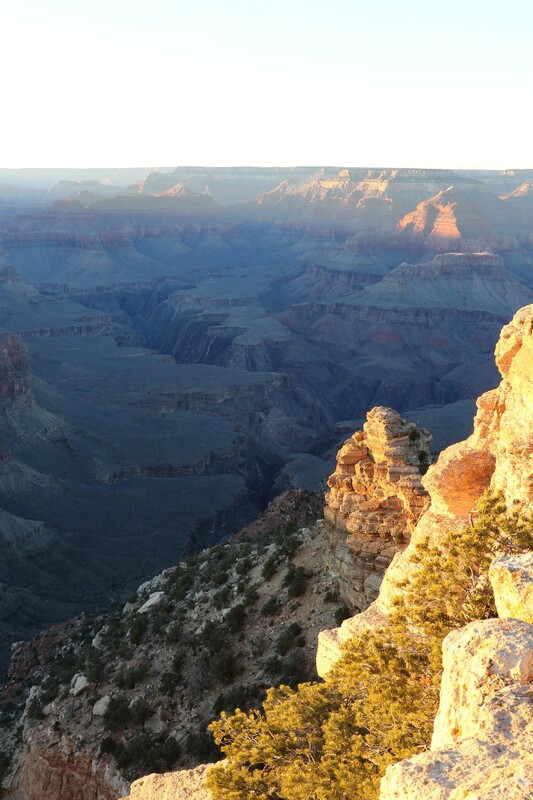 We were also able to stick around for sunset and watched it from the canyons edge. It was very surreal. 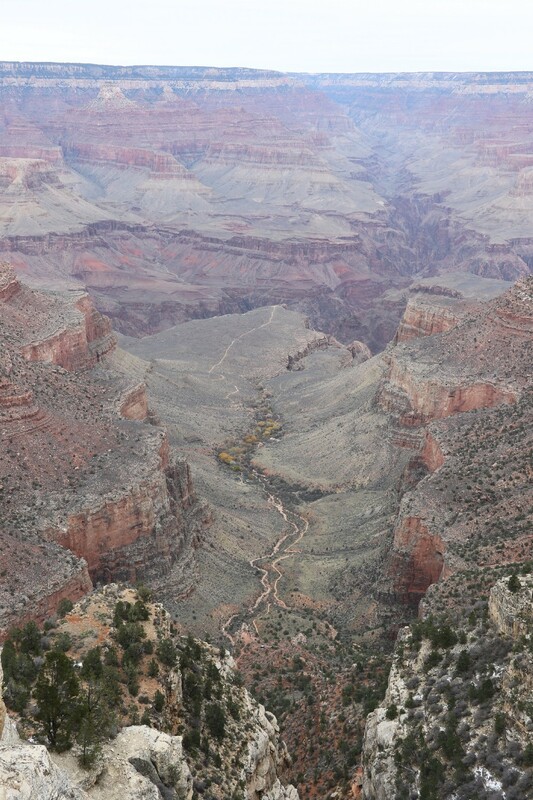 Hard to grasp the size of the canyon even when standing on its edge. It doesn’t even feel real. 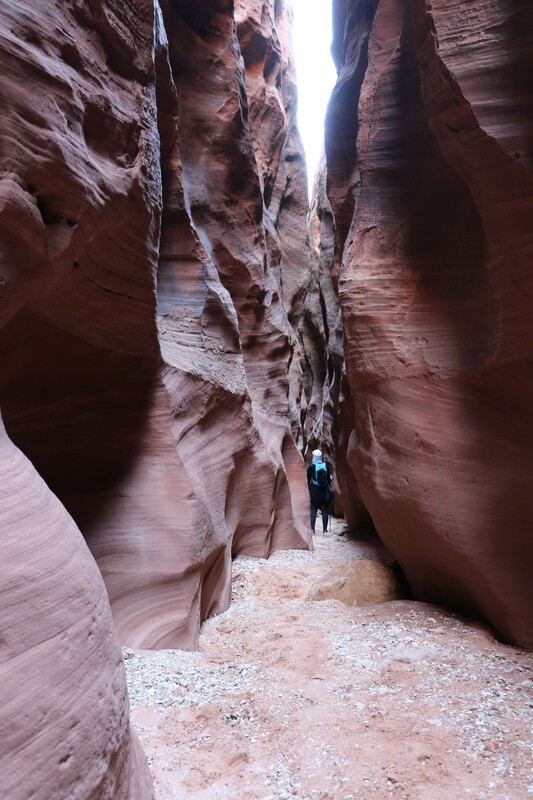 The park is quite flexible with where you can explore and its completely up to you to not walk right off the edge into the canyon, which is great. No railings or obligatory guided tours. Our last stop before leaving the State was a spur of the moment visit to the Titan Missile Museum in Sahuarita. We don’t usually go out of the way to see things like this so we thought maybe it’d be a good idea to check it out. 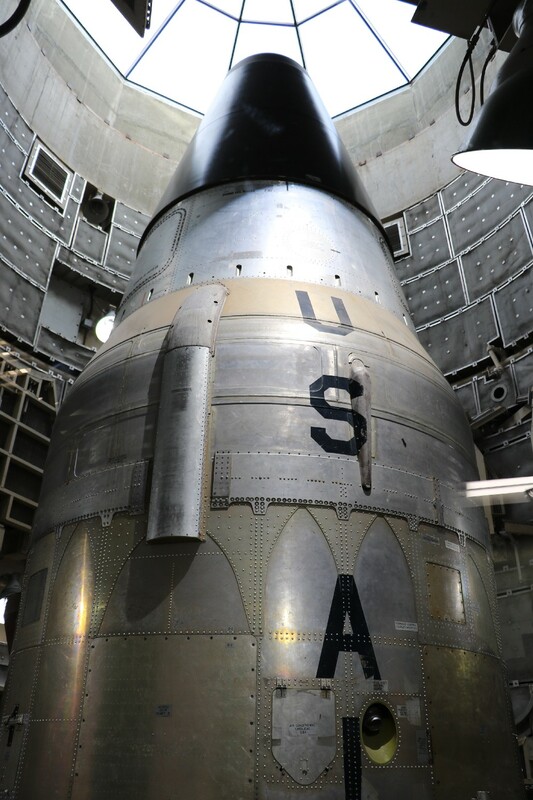 We arrived and after a somewhat long, retro propaganda video, proceeded into an underground bunker and learned all about the operations and step by step process that the country would have previously gone through when firing an ICBM. 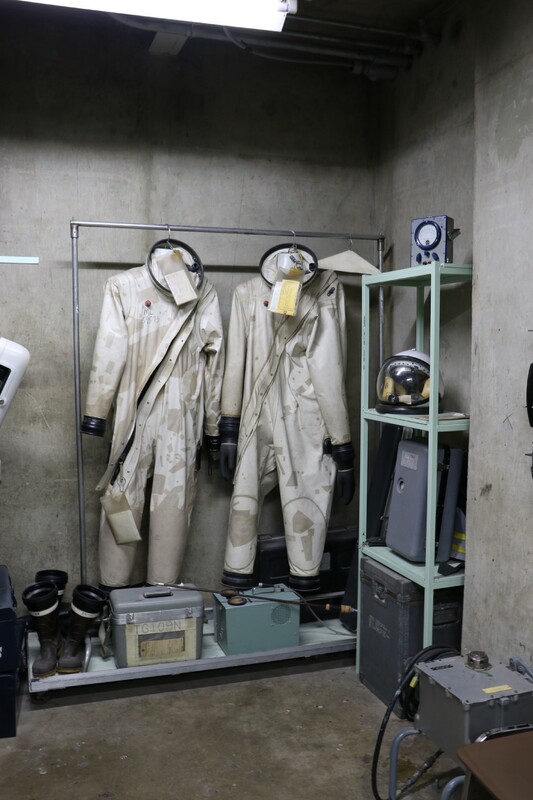 They actually run through the entire process in the control room, faux emergency call through the loudspeakers and simultaneous turning of two keys at different locations in the room and all, just like in the movies. Very educational and sobering experience. 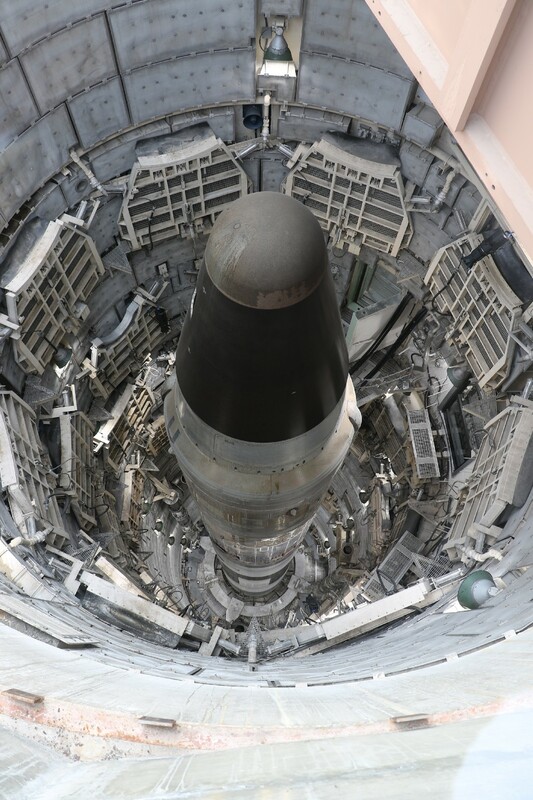 Titan II — It once had to be disassembled and left out on the ground surface in pieces so that Russia could periodically confirm via satellite that it was indeed inoperable. Next blog will be about New Mexico and Texas. If you’d like to see more pics and info about what I’m doing you can follow me on Instagram or Facebook @Derrick Kersey.